The falling object from trailer 2, what is it? 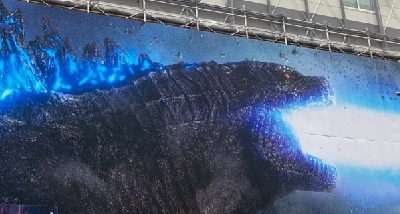 So, another scene to dissect from trailer 2 of KoTM is that glowing object falling from the sky. What exactly is it? There are all kind of theories on YouTube about what it is supposed to be. But what do you think that falling object is? 18 Responses to The falling object from trailer 2, what is it? 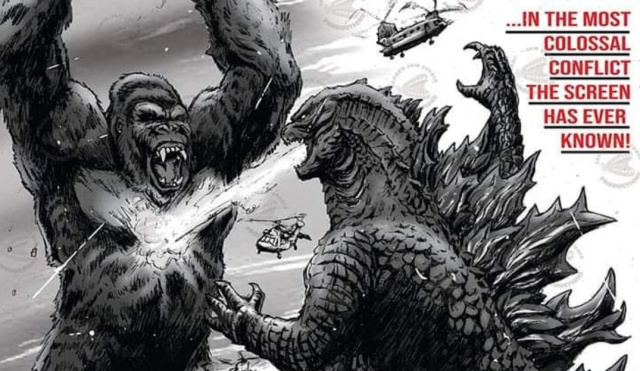 Godzilla's_Tail79: All plausible possibilities. 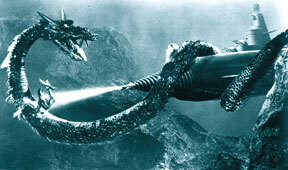 Could also be Mothra getting fried by King Ghidorah. 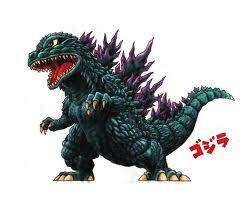 Or it could be Orga! Hey now, let's not get too crazy with the aliens! One alien monster is enough for right now! 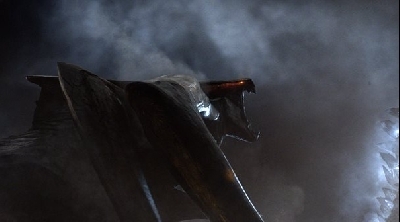 Mothra after being fried by Ghidorah… or Rodan… and I'm thinking Rodan. Come to think of it, I like Godzilla's_Tail79's theory about the shot being actually a flashback about Ghidorah's arrival on Earth in pre-historic times, alluding to the alien origin of Ghdiroah in the Showa series. 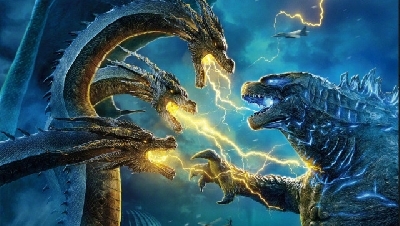 So that would mean Ghidorah is fundamentally different from other titans in it's alien origin. Sounds a bit fanciful, but anything is possible at this point. 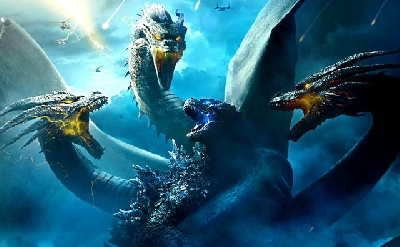 Honestly, the best evidence for the "Ghidorah is an alien" theory comes from BEFORE the trailers' releases, when Michael Dougherty made some interesting Twitter reposts/responses on NASA Tweets, ESPECIALLY that one about alien microorganisms being preserved in crystals. 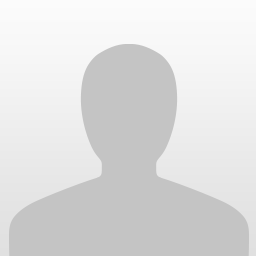 TheGMan123: Yeah, although the is very cryptic hint. Ghdiorah's Antarctic location is another hint. Being frozen in ice is a homage to the Thing. And the Thing was of course an evil alien planning to take over the world. Okay, very funny, Gman with a small "m". A star fallen from heaven to earth, yup, that's pretty clear indication that Ghidorah came from space and fell to Earth. 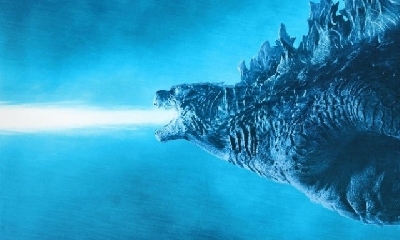 My theory is that he was probably beaten before by Godzilla in prehistoric times and ended up frozen until now. Considering the Book of Revelation is a giant metaphor burrito wrapped in a metaphor blanket wrapped in a metaphor house, using it as proof of anything is the shakiest of grounds to make any proclamations. If you do want to take that passage literally, it honestly doesn't turn out that bad for us. It's just a bunch of weird looking locusts that will torture but not kill us. Not saying he isn't an alien. Just saying it doesn't prove anything. EmptyH: Where did anyone say they are "proving" this as verified fact? We are all just speculating. This is no "shaky ground" when we are not proving a fact. 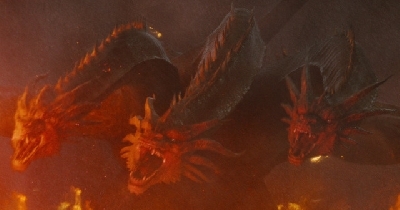 All the facts so far seem to heavily imply that Ghidorah is some kind of extraterrestrial origin, much like the Showa and now Anime incarnations. Plus, with a space origin, the space race could easily be used as a backdrop for the classic "old B-roll conspiracy footage" intro that has become a staple of the Monsterverse. I'm thinking it's Mothra. When I looked closer at the image, I could see the faint outline of wings. The body is too small to be Godzilla's or Rodan's, and Mothra is the only one with a small body height, only standing at 15 meters tall. Mothra also has a history of being set on fire, mainly in the millennium series. I think that by limiting possible explanations of the falling object to titans we already know to be in the film, we'll never figure it out. 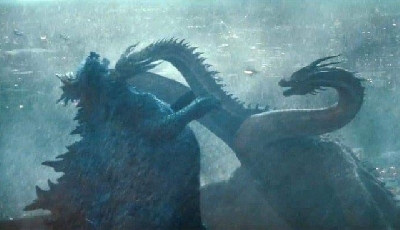 It's really too high to be anything being dropped (unless it's a really stupid scene) and there's Ghidorah storm clouds in the air, so it's probably not Ghidorah's origin. Any idea's besides one of the main 4 titans?